Alfa Laval’s unique MBR technologies minimize power consumption, reduce cleaning needs, facilitate maintenance and maximize capacity. Nature is full of examples of smart, efficient processes, and we have been inspired by a number of them when designing our MBR modules. This has been very successful, resulting in low energy costs, minimal cleaning and high water quality. We gradually develop our systems to improve them even further, always with the same guiding principle: natural efficiency. Alfa Laval’s unique LowResist design gives our membrane module an extremely low pressure drop. It is thanks to the ultra-low transmembrane pressure (TMP) that Alfa Laval MBR membranes require much less cleaning and maintenance that other MBRs on the market. The low TMP means there is no pore fouling, just easily removed surface fouling. It is also the reason Alfa Laval MBR filters can run on gravity with just 1 m of water above the module, making it possible to maximize capacity in a tank without having to use pumps. In our new model we have improved the LowResist technology to reduce the transmembrane pressure even further. The new membranes have open sides, allowing the water to flow freely into the permeate boxes. This leads to a more even pressure distribution over the membrane, which improves capacity and reduces cleaning needs. Our latest MBR model features the S Aerator aeration system. This new, improved system minimizes air consumption and eliminates the work of cleaning out blockages. Blockages are a hassle in traditional, multi-line aeration systems. Cleaning and restarting them is a cumbersome, time consuming process. Alfa Laval’s new S Aerator uses a single-line design, making it self-flushing. Any blockages are automatically flushed out when the air pressure builds up. Water that has entered the system due to the blockage is also flushed out automatically, meaning there is no need for manual intervention at any stage. The self-flushing design makes it easy to turn the air on and off during operation and allows you to run your membrane modules with alternating aeration. 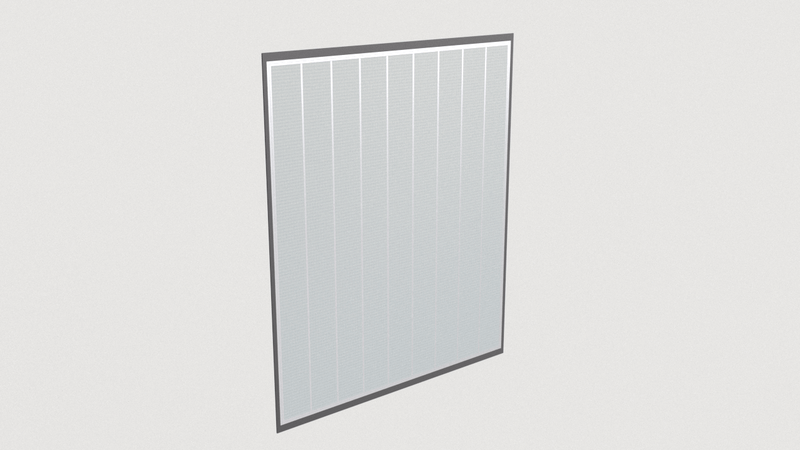 This means that in systems with more than one membrane module, air scouring is applied in an alternating manner, not continuously. This is possible without fouling becoming a problem thanks to the extremely low TMP. The big benefit is savings in energy, investment and maintenance costs. The end of the aeration line is a vertical pipe open at the bottom. This design lets you clearly see if you are over-aerating your bioreactor. Any bubbles from the end pipe indicate that the system is receiving too much air. Membranes are easily installed and replaced thanks to Alfa Laval’s unique QuickSwap™ technology. 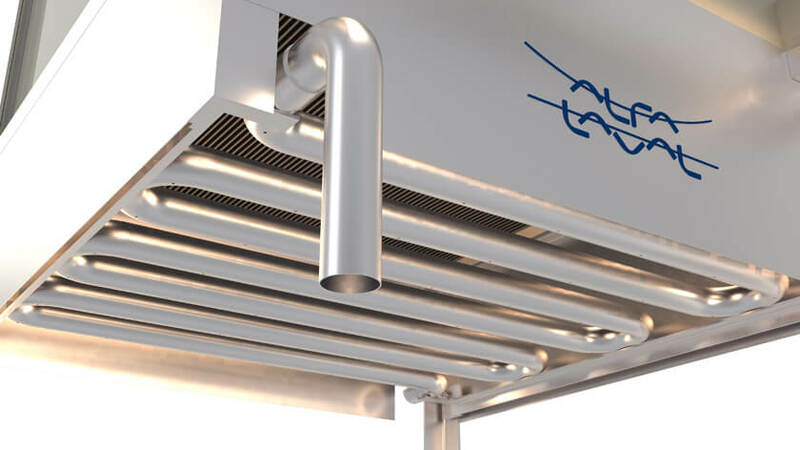 Alfa Laval’s unique QuickSwap™ technology means each pack can be removed individually, minimizing the lifting height required above the membrane module. This means that Alfa Laval’s MBR membrane modules are especially suitable for indoor or subterranean installations where extra lifting height means more capital cost. Membranes are easily replaced thanks to the QuickSwap™ technology. With all of the membranes in a module mounted in packs, an entire pack can be replaced in one operation, instead of having to replace each membrane element individually. To replace a pack, just lower the tank level, take out the old pack and put in a new one. There is no need to take the entire module out of the tank or spend time ensuring each membrane element is in place after replacing the membranes. The new Alfa Laval MBR membrane modules only require two free sides during operation and can therefore be installed side by side in rows, thereby increasing the installed membrane density dramatically. 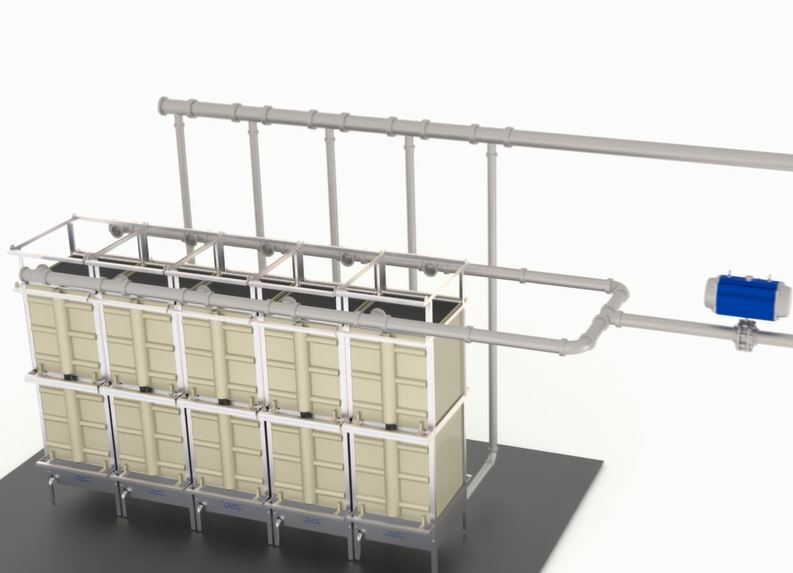 The range of different module sizes in combination with the low water depth required for gravity operation makes it possible to optimize usage of existing tanks and maximize the installed membrane area. With Alfa Laval’s solution you get the most membrane area per tank volume. 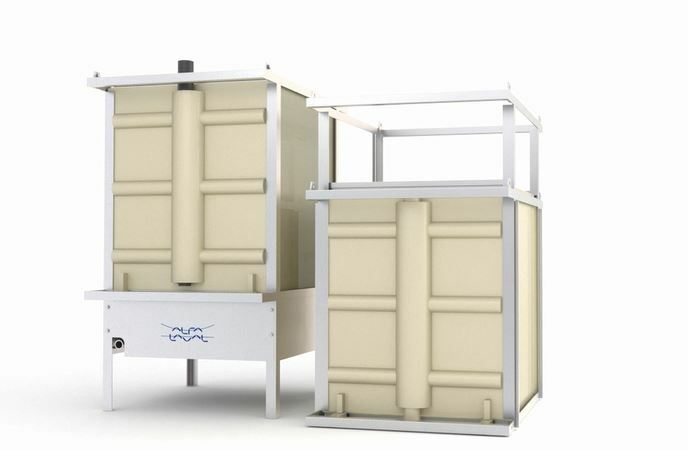 The high resistance to fouling and absence of pore fouling in an Alfa Laval MBR membrane makes it possible to operate the bioreactor with up to 50% higher concentrations of suspended solids than other manufacturers’ filters. Combining these factors means you get maximum capacity per tank volume with Alfa Laval MBR membranes. The membranes are a key part of a MBR wastewater treatment plant. We develop and manufacture all membranes used in our MBR modules ourselves to ensure the highest quality and best durability. The membranes are made of chlorine resistant PVDF and have been specifically optimized for use in wastewater applications. The membranes provide an absolute barrier to bacteria, microplastics and several other pollutants, and the treated water is guaranteed to meet the requirements for water reuse or environmentally responsible discharge. Alfa Laval MBR membranes are easy to operate and can be fully automated. All important aspects, such as air scouring, cycle lengths and CIP can be initiated, controlled and monitored remotely. The only required manual work is making sure the cleaning chemical tanks are filled. The resulting personnel requirements are thus very low, normally around 1/4 full-time operator equivalent per plant.